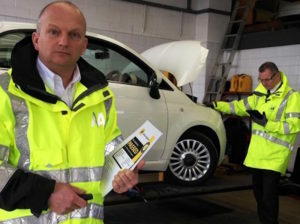 Prestige Fleet Servicing has partnered with the AA to further strengthen its inspection and selection process of service centres and run vehicle spot checks across the UK. Announced as Prestige Fleet Servicing looks to expand its network of independent fleet service centres by a third this quarter, the partnership between the two firms has led to the development of a comprehensive inspection programme which the AA will use to further improve quality standards. Service centres will undergo an initial inspection by the AA and will have to pass a number of checks to be considered to join Prestige’s network, which currently stands at 315 centres. Prestige will also be using the AA the carry out random vehicle spot checks to ensure service levels are being met on a continuous basis. The new arrangement also includes utilising AA video imaging technology for both service centre inspections and vehicle checks. Images will consequently be sent directly to Prestige’s operations team for analysis.